The beautiful city of Chandigarh has only one major wildlife sanctuary named as Sukhna wildlife sanctuary and a small zoo – Chattbir Zoo. The main motive for setting up the wildlife sanctuary is to upkeep, protect and preserve. Special permission in advance has to be taken to visit this wildlife sanctuary. The permission is only given on first come first basis strategy. Night stay in Sukhna wildlife sanctuary is not permitted. Different areas have different types of wildlife sanctuaries and the factors that impact the habitat of the wildlife sanctuary are its geographical location and the latitudinal value of the place. Depending on the conditions in Chandigarh, this place can be seen with wide variety of different species of animals. The list of types of species seen in Chandigarh is quite long. The flora and fauna of Chandigarh is quite rich. The types of species that can be located in sanctuary in Chandigarh are impacted by the climatic and geographical conditions. Sukhna wildlife sanctuary is located very near to Sukhna Lake. The flora of this wildlife sanctuary includes small plantation, grasses, herbs and shrubs, climbers and big trees. The fauna in the sanctuary is quite large. The wide varieties of fauna that can be seen in the sanctuary are reptiles, birds, mammals and butterflies. The mammals like Sambar, Rhesus Monkey, Wild Bear, Mongoose, Indian Civet, Indian Hare, Squirrel and Pangolin are housed in the wildlife sanctuary. Birds that flock in the skies of Sukhna Wildlife Sanctuary are peacock, hawks, black drongo, cuckoos, red jungle fowl, ducks, koel, woodpeckers, bulbul, kingfisher, grey partridge, swan, bee-eater and myna. The reptiles like Russell’s viper, rat snake, cobra, Indian Python and Krait are found in the sanctuary. The micro-organisms like butterflies, moth and honey bees are found in large numbers in Sukhna wildlife sanctuary. The sanctuary can also be called as the zoological park since it is the habitat for reptiles, mammals and birds. A small zoo named Chattbir zoo is located at a distance of 5 km from Chandigarh. The major attractions of Chattbir zoo is the famous lion safari and the Royal Bengal tiger. Spotting of Royal Bengal tiger is very rare in the zoo. The animals wander liberally in the zoo. The special trip is organized for the visitors to visit the tiger reserves. Few of the species of birds that are on the verge of extinction can also be found here. 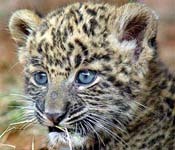 Chandigarh city has two wildlife sanctuaries and at least one of these must be visited while making trip to Chandigarh. The sanctuary is spread over a vast area and has a richly maintained flora and fauna that is eye catching for the visitors. The items that cannot be taken inside the wildlife sanctuary are non biodegradable material like plastic, use of loud music is also not permitted. Shooting and disturbing the animals is also not permitted since it can be dangerous at times. Sukhna wildlife sanctuary is located in large area of over 2600 hectares and it is located at a distance of 1 km towards the North East of Sukhna Lake. The wildlife sanctuary is part of the Shivalik mountain range and is in close vicinity of Sukhna Lake. The wildlife sanctuary has large diversified trees, herbs, creepers, shrubs and grasses. Few of the most commonly known trees are Khair, Kikar, Shisham, Phulia, Raeru etc. Sukhna wildlife sanctuary is domicile for numerous Mammals, reptiles, smaller creature, birds and butterflies. 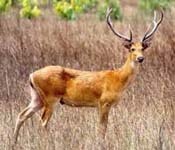 The mammals that are habitat of this wildlife sanctuary are sambhar, langur, chital etc. The different kinds of birds that flock in the sanctuary are peacock, woodpeckers, red jungle fowl, barn owls etc. 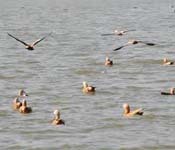 Many varieties of aquatic birds can also be seen here. At a distance of mere 5 km from Chandigarh is another wildlife sanctuary park known as Chattbir Zoo. This zoo is located on Chandigarh Patiala Road. This is majorly known as a zoological park that is domicile for wide variety of mammals, reptiles and birds. The major attraction of this Chattbir zoological park is the lion safari. In the seventieth century, the creation of this zoo was initiated and in the current times, this zoo has been developed into a large zoological park that houses large varieties of animals and birds. The major attraction of this zoological park is the excursion tour to the tiger reserves. During these excursions one can see large number of animals wandering liberally in the reserve. The large numbers of different species of bird are also seen wandering in the skies of Chattbir zoological park. The zoo can be visited any time throughout the year except on Mondays. The different types of shrubs, grasses, climbers and herbs can be seen in the wide area of wildlife sanctuary. The fauna of Sukhna wildlife sanctuary is quite rich and the most of the famous plantation are Khair, Kikar, Raeru, Shisham, Chhal, Neem, Semal, Dhak, Kachnar, Amla, Tut, Jhingan, Kendu, Kari patta, Musket, Amaltas, Ber, Bana or nirgundi, Karaunda, Vasaka, Moonj, Giloe, Rati etc. The major habitants of Sukhna Wildlife Sanctuary are different kinds of Mammals, reptiles, small creatures, birds and butterflies. The mammals that habitat of this sanctuary are Sambar, Pangolin, Jackal, Jungle Cat, Hanuman Langur, Indian Hare, Common rat, Spotted Deer, Wild boar, Small Indian Civet, Porcupine, Rhesus Monkey, Common-Mongoose and Squirrel.